Lend love to The Reno Bike Project and enjoy some fine brews. 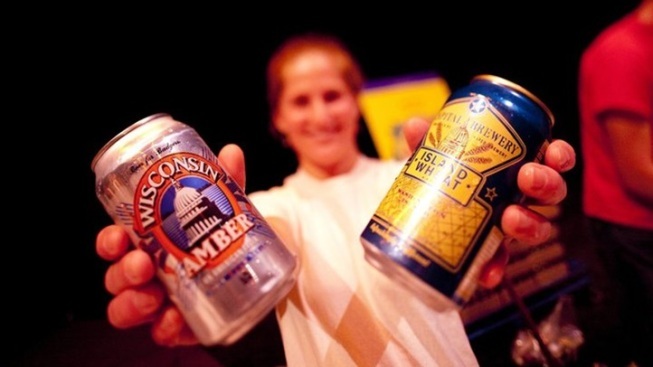 Book your hotel now for CANFEST, Reno's annual in-the-can brew bash. A bonus? Some of the proceeds of the Saturday, Aug. 27 event will support The Reno Bike Project. COLD, CRAFTY FLAVOR: It may be said, with utter confidence, that the west is home to some memorable beer bashes nowadays. There are the traveling festivals that celebrate beers from a single region or state, the parties that put the emphasis on IPAs or lagers, and the shebangs that spotlight offbeat brews, those flavored with avocado or grapefruit or some unlikely but lovely combination of ingredients. One of the most notable of modern foam festivals, however, happens in Reno in the late summer, and it is very much around how the beer arrives. Or, rather, in what sort of vessel the beer arrives in: It's CANFEST we speak of, and the all-caps to-do takes the boldness beyond its name and into the dozen of primo suds it serves up, suds that hail from points all over. How far-and-wide is CANFEST's reach? It's billed as "the world's largest canned beer festival." RENO, NEVADA... is the spot, a place known for some epic pub crawls, and Saturday, Aug. 27 is the date. That gives you time to line up your sleep spot, and your ticket, too, should you want to sample "more than 100 international beers." Many of them hail from Northern Nevada "exclusively for the event," so be sure to seek those out if that's your pleasure. The Peppermint Resort Hotel is the place, The Reno Bike Project will receive part of the proceeds, and artists, a silent disco, and more convivial doings will round out the evening happening. Do you take your brew in a can over a bottle or draft? This could be your scene to get to know what's out there, what's coming up, and what you like best.